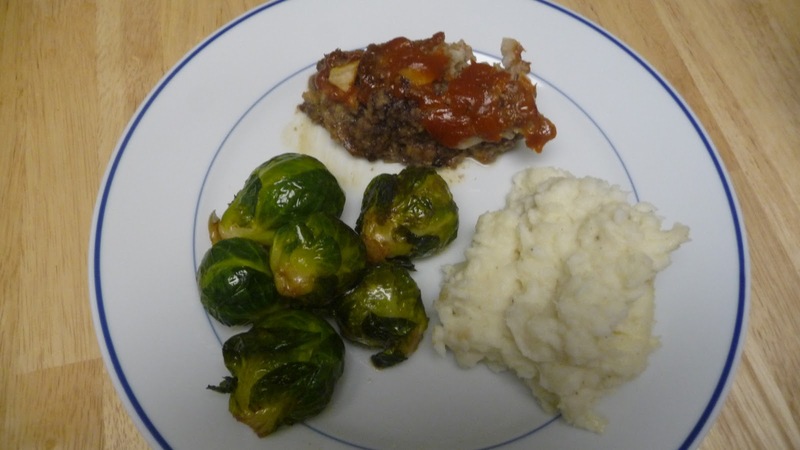 I made this meal for the first time last year a couple of days before Halloween when we carved pumpkins. It was so yummy and fun that I decided to make it again this year and I hope I can keep the tradition going. It was a little hectic making it on Halloween night because I was running to the door in between preparations and we had to keep getting up for the trick-or-treaters while we were eating, but I think it makes an excellent pumpkin carving night meal. 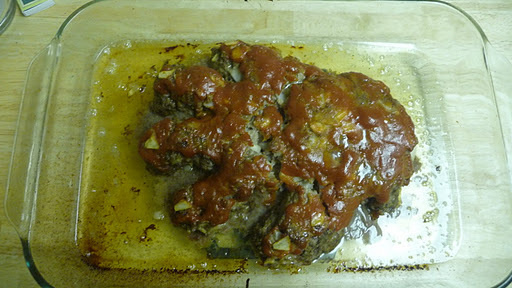 It fell apart a bit (last year’s looked way better), but notice the onion fingernails and wrist bone! I don’t use a mold like Not Martha does, I just shape it by hand. It would probably be prettier if I cooked it on a rack so the juice just drips off, but I don’t have one so I either use a cookie sheet or pyrex. 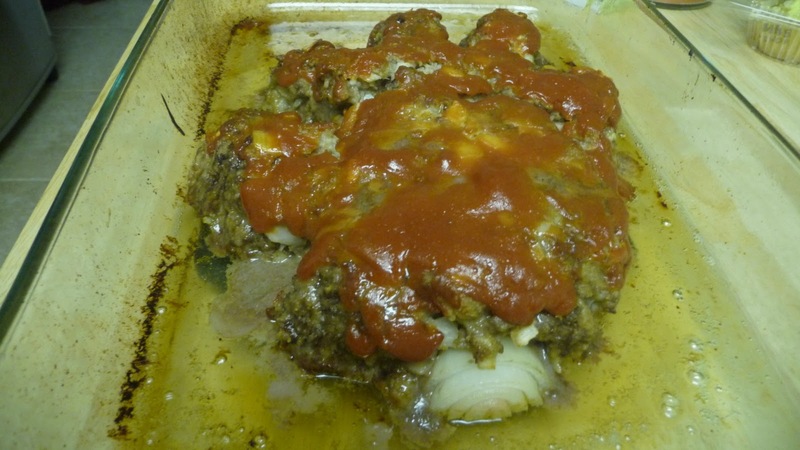 I used this recipe from All Recipes for the meatloaf. The mashed potatoes are my stepdad’s specialty (he’s a chef). Peel and boil potatoes until tender. Meanwhile, heat cream and butter together until melted. Once potatoes are cooked and drained, mash them up and add the cream and butter mixture a little bit at a time until it reaches desired consistency. Salt and pepper to taste (sometimes I add roasted garlic for added deliciousness). He also taught me how to make really yummy Brussels sprouts – by the way, I never knew there was an s on the end of brussel when talking about the vegetable. Boil them until fork tender, but still bright green. Just before they’re done, heat some butter in a pan. Let it turn light brown and smell the heavenly aroma. Drain the sprouts and sautee them in the butter until browned a bit. If you want to boil them ahead of time, rinse them with cold water to stop the cooking process and sautee with the brown butter right before serving. Soooo good. Not the healthiest meal ever, but that’s ok for a once-a-year treat. For dessert? Way too much candy. Last year we ran out of candy and had to give away some of my brother’s, so this year we over-compensated and now we have way too much left over. Dangerous! Do you have an unusual Halloween tradition?